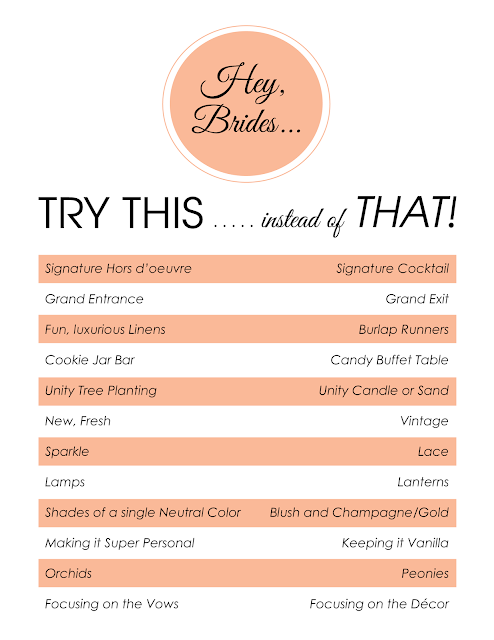 Boldly Chic Events: Weddings: Try This instead of That! Weddings: Try This instead of That! Trends come and go - and while there is absolutely nothing wrong with the "right" column below...we are hoping to inspire you to be creative and go against the grain when planning your big day!